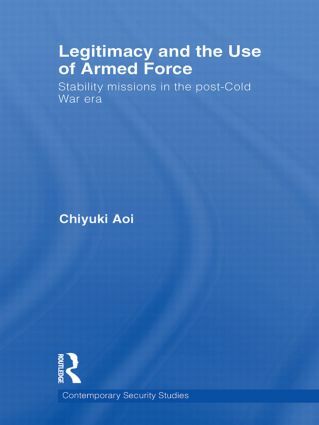 This book examines the concept of legitimacy as it may be used to explain the success, or failure, of key stability operations since the end of the Cold War. In the success of stability operations, legitimacy is key. In order to achieve success, the intervening force must create a sense of legitimacy of the mission among the various constituencies concerned with and involved in the venture. These parties include the people of the host nation, the host government (whose relations with the local people must be legitimate), political elites and the general public worldwide—including the intervening parties’ own domestic constituencies, who will sustain (or not sustain) the intervention by offering (or withdrawing) support. This book seeks to bring into close scrutiny the legitimacy of stability interventions in the post-Cold War era, by proposing a concept that captures both the multi-faceted nature of legitimacy and the process of legitimation that takes place in each case. Case studies on Liberia, Bosnia, Somalia, Rwanda, Afghanistan and Iraq explain how legitimacy related to the outcome of these operations. This book will be of much interest to students of stability operations, counterinsurgency, peace operations, humanitarian intervention, and IR/security studies in general.